Ultra Pro stock number 85609. 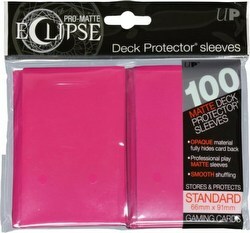 Deck protectors are 66 mm x 91 mm. 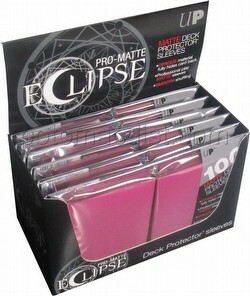 The Eclipse PRO-Matte Deck Protector sleeves completely hide card backs with an added layer of opaque black material. 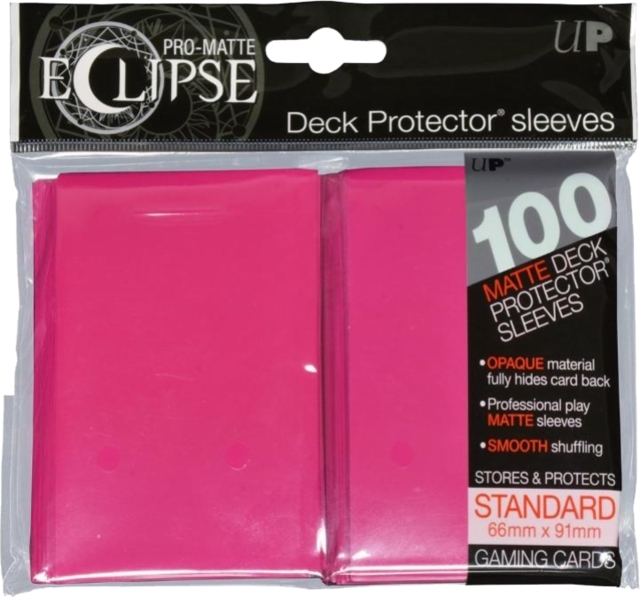 As a part of the PRO-Matte line, the Eclipse sleeves uses matte clear material to show the card face while minimizing glare and offering a unique, smooth and professional shuffling experience. 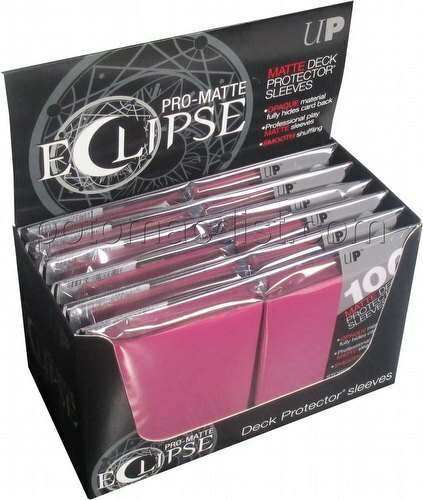 Each box contains six 100-sleeve packs. Sized to fit standard (Magic-sized) cards.